Fr. Evan and Fr. 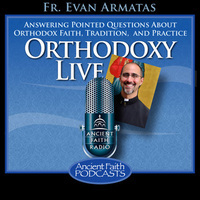 John answer questions regarding the Ecumenical Patriarch and the Russian Orthodox Church, Greeks and the English language, and the Orthodox teaching on praying for the dead.